A field of 89 will tee off Thursday morning at Augusta National in quest of the green jacket awarded a Masters champion, but only one will slide their arms inside the sleeves come Sunday. Australia's Day comes off triumphs at Bay Hill and the WGC Match Play. Northern Ireland's McIlroy has found his form at just the right moment and American Spieth's record-tying wire-to-wire win from last year still resonates in the Georgia pines. Add Aussie Adam Scott, twice a winner last month, plus fourth-ranked Bubba Watson, a two-time Masters champion, 2015 Players winner Rickie Fowler and five-time major winner Phil Mickelson and the stage is set for a showdown on golf's most acclaimed course. "I would enjoy a Spieth McIlroy Fowler Scott Watson Mickelson Sunday," Day said. "That would be a lot of fun." Day has won six of his past 13 events, including his first major title at last year's PGA Championship, to overtake Spieth as world number one. "I feel comfortable with where I'm at, walking around the grounds, number one in the world, it's a good feeling," Day said. "But I know I can't take it for granted, because things can change pretty quickly." "It's really tough with how everyone is playing," Day said. "Jordan and Rory are young guys, so we're all kind of motivating each other, and Rickie as well. "Adam Scott and Bubba Watson are doing a fantastic job. It's just really fun to see how the health of the game is right now and how competitive it is. "I want the best playing against the best and fighting it out," Day said. "If I end up not wearing the green jacket at the end of Sunday but have a fantastic competitive match against the best players in the world, that's what I'm there for." "It's definitely a motivation to be able to put your name alongside those five guys," McIlroy said. "I haven't been in a situation where I've felt the pressure of it, really, because I didn't have a real chance to win last year." McIlroy dismisses the notion of added tension impacting his game, saying, "Pressure is for tires." But he knows it will increase every year he does not add a green jacket to his trophy list. "I feel like I've got everything I need to become a Masters champion," McIlroy said. "But I think each and every year that passes that I don't, it will become increasingly more difficult, so there's no time like the present to get it done." 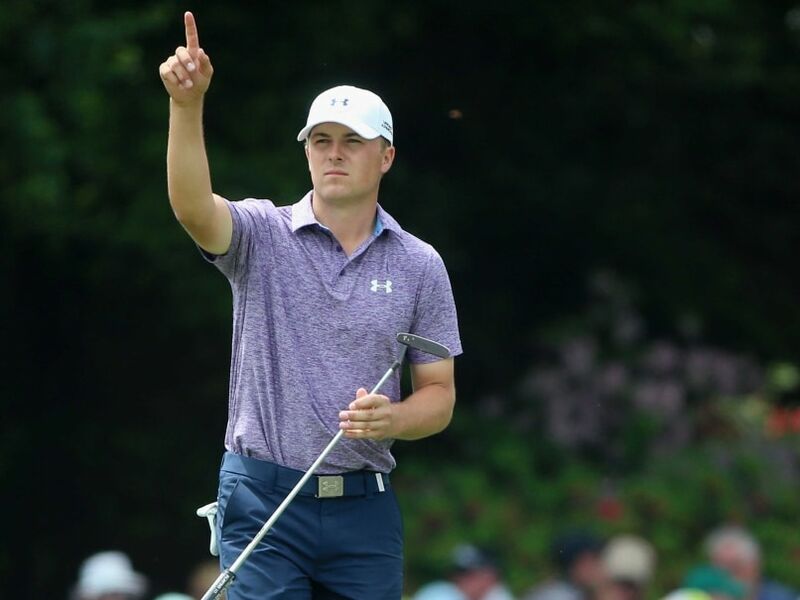 Spieth will try to become the first back-to-back Masters winner since Tiger Woods in 2002. Woods is skipping this year's event because he has not fully recovered from back surgery last year. "Going to try and just use last year as momentum," Spieth said. "We've already done it, so it's not like I'm chasing my first major. "It's also going to be a lot of fun walking these fairways, reliving those memories with the crowds and the roars, the echos." Spieth happily passes off the favorite role. "Isn't Jason the favorite?" Spieth asked. "He can be the favorite. I'll go ahead and we'll just do our thing." "I've got three tough days to put myself in a position to win a Masters," Scott said. "Everything in the lead up has gone well. It's up to me to execute it now." A field of 89 will tee off Thursday morning at Augusta National. This is the 80th edition of the Masters.